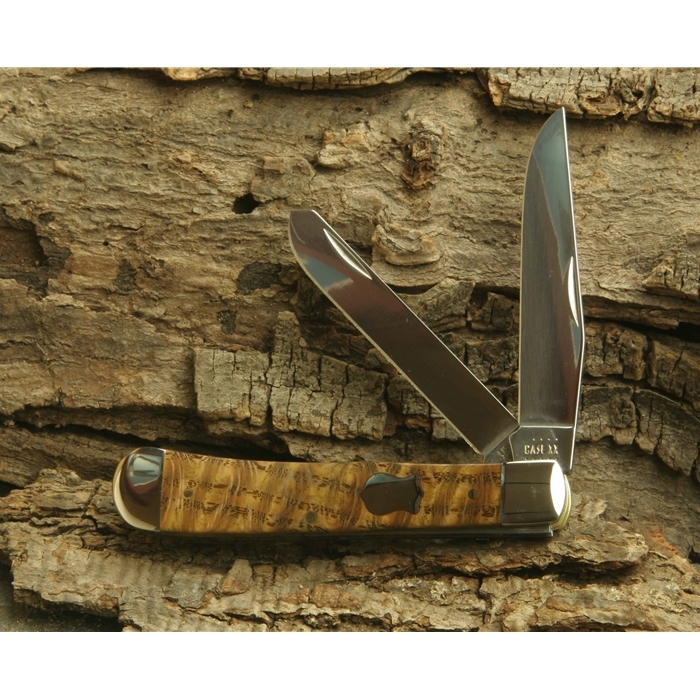 The Case Curly Oak handled Trapper is a classic. The hand rubbed finish brings out the beauty of the wood grain. With it's exceptional good looks and distinctive Case Badge Shield, this knife can be your Sunday dress knife or your everyday carry knife. We can engrave on the wood handle of this knife on the shield (mark) side. Please note that you are limited to 21 characters including spaces. Blade suggestion: Always together, never apart, maybe in distance, but never in heart.